Mary Gardiner, Associate Professor, Department of Entomology, The Ohio State University, and author of the fantastic book, Good Garden Bugs: Everything You Need to Know About Beneficial Predatory Insects, joins us today to share the Insect Super 7, a biodiverse group of predatory insects that will swoop in and take care of your garden like a team of superheroes. Bees have been getting some much deserved positive press as of late. Yet the diversity of beneficial insects that a bountiful and sustainable garden depends on goes well beyond pollinators. Natural enemies are species that provide natural pest control. In this post I want to introduce some of the key groups to watch for this summer. 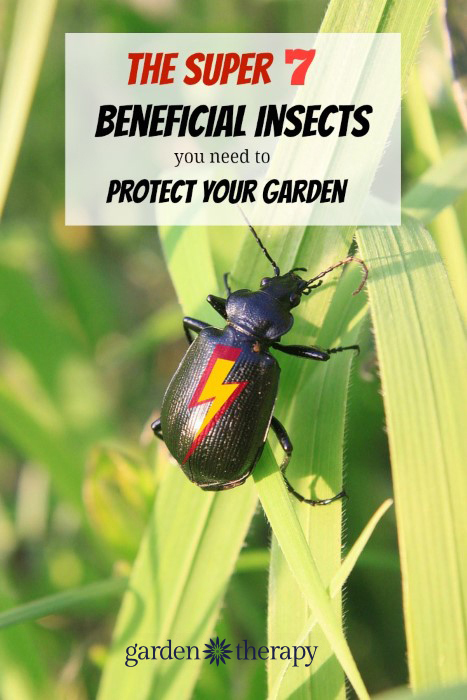 This is by no means an exhaustive list, but an introduction to some of the great biodiversity keeping pests in check in your home landscape. Green Lacewings (Family Chrysopidae): Adult green lacewings have a long slender body and four intricately-veined wings. 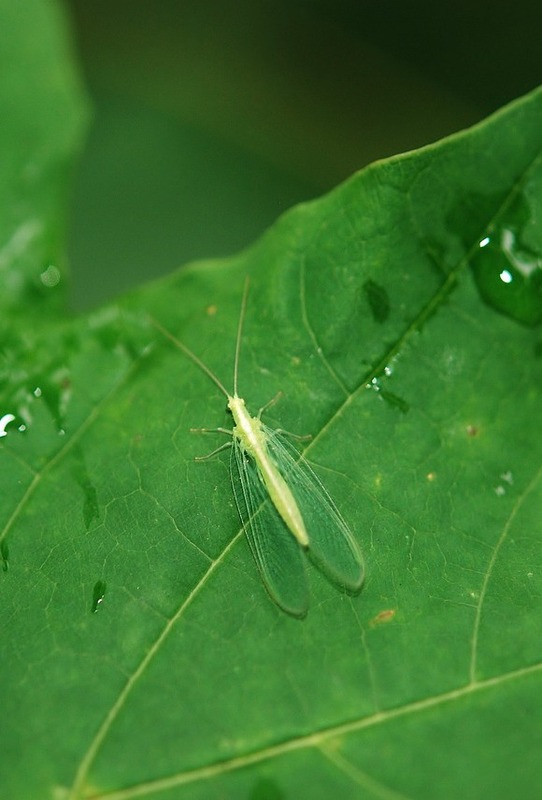 Depending on the species, adult green lacewings may be predators or pollen feeders, or they may feed on honeydew, a sugary substance secreted by aphid pests. All lacewing larvae are voracious predators; their cycle shaped jaws are used to pierce aphids and other soft bodied prey. Species of green lacewings are found throughout the US. Hover Flies or Flower Flies (Family: Syrphidae): This family is one of the most common beneficial flies you will find in the garden. They get their name from their ability to hover in midair and make quick motions while darting among flowers hunting for prey. Adults range from 4-24 mm and are actually pollinators! They visit flowers and consume pollen and nectar as they perform this important service. Many species look similar to bees or wasps, but you can distinguish these flies as they only have a total of two wings, while bees and wasps have four. 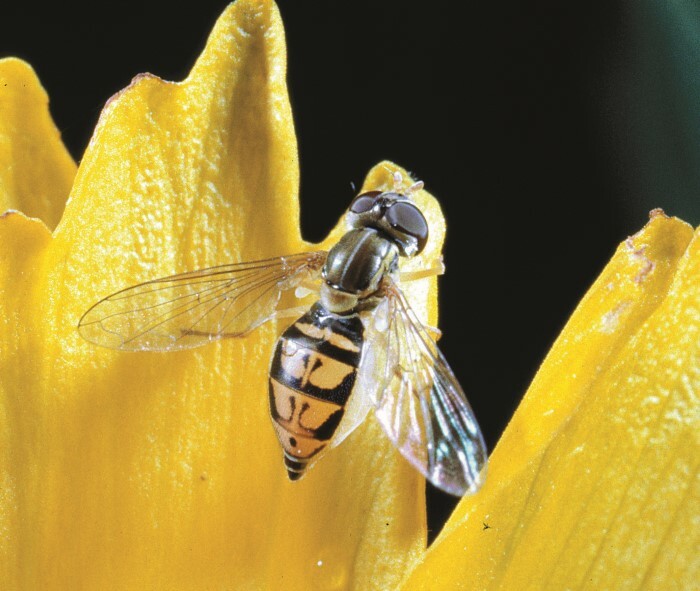 Hover fly females lay eggs in patches of aphids, whiteflies, and other soft-bodied pests. Their slug-like larva hatch and develop by preying upon these pests. Ichneumon Wasps (Family: Ichneumonidae): This is a large and diverse family of parasitoid wasps with thousands of species present in the US. Ichneumons are parasitoids; a female will search for arthropod prey and deposit one or more eggs in or on located hosts using her ovipositor. Offspring develop by feeding on the host, eventually killing it. Many species in this family have a long ovipositor that looks like a stinger that could harm humans. This is NOT the case: female parasitoid wasps cannot sting people or pets and pose no threat. Hosts of ichneumons vary by species and include caterpillars and beetle larvae. 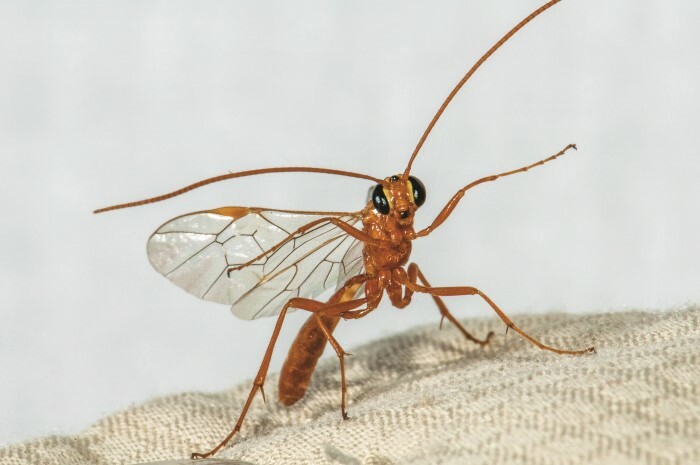 Giant ichneumon females (Megaryssa) reach up to 11.5 cm in length with their ovipositor! These wasps attack horntail sawfly larvae found inside trees. Lady Beetles (Family: Coccinellidae): Ladybugs, lady bird beetles, or lady beetles; no matter the name these predators are voracious predators of aphids, spider mites, thrips, and scales. Lady beetles have gotten a bad rap as of late due to the introduction of the multicolored Asian lady beetle into the US. Although an effective predator, this species a nuisance because it invades homes to overwinter. Importantly, some exotic lady beetle species have also been implicated in the decline of our native fauna. Across the US a high diversity of lady beetle species can be found in home landscapes. Some forage for aphids in trees such as the eye spotted lady beetle and twice-stabbed lady beetle. The pink lady beetle is common within vegetable gardens where it feeds on crop pests and corn pollen. Lady beetle larvae are also predaceous and consume 100s of prey to complete their development. 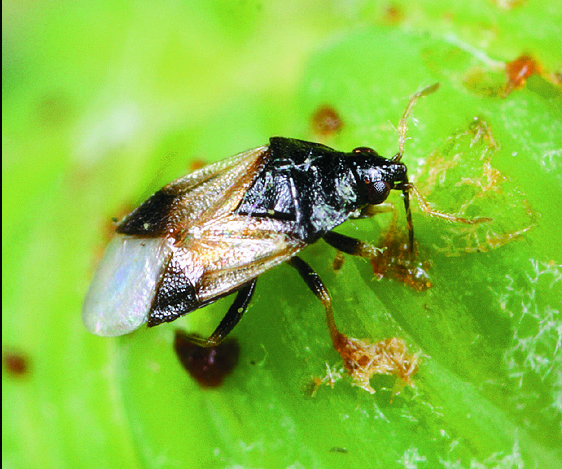 Minute Pirate Bugs or Flower Bugs (Family Anthocoridae): This family includes several species of common, tiny predators that attack aphids, scales, spider mites, thrips, small caterpillars and insect eggs. Those in the genus Orius measure 3 to 6 mm in length, and have a dark head and forewings with light and dark patches. Orius species can be found throughout the US. 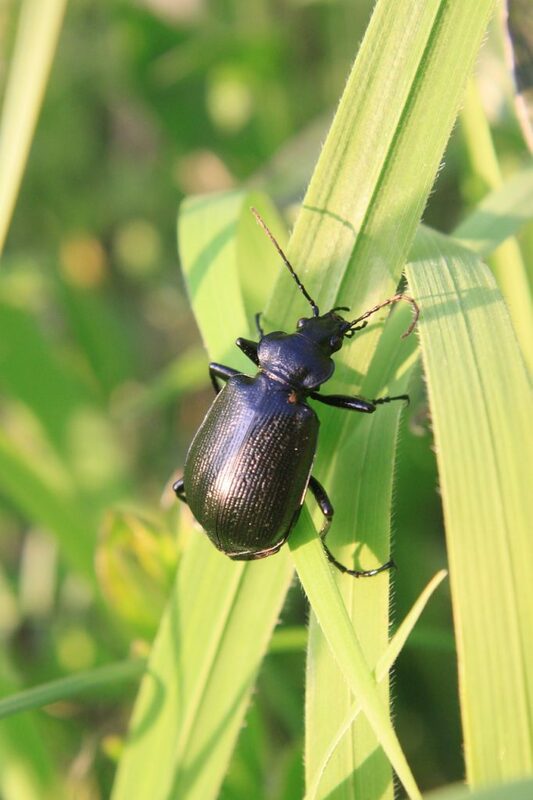 Look for these predators foraging on plants or feeding on pollen and nectar within open flowers. During the heat of the day the often seek refuge in developing leaves that have not completely unfurled. Both adults and developing nymphs feed on prey. Wolf Spiders (Family: Lycosidae): These ground-dwelling spiders range from 3-35 mm and their coloration blends in well with their foraging grounds. Wolf spiders are fast moving, with long legs. They have a total of 8 eyes, with one large central pair. Some species are active by day and others by night. Some of the most common are the thin-legged wolf spiders (Pardosa) and pirate wolf spiders (Pirata). Mated female wolf spiders are particularly easy to identify as they carry their eggs with them, attached to the end of their abdomen. When the spiderlings emerge from their egg case, they climb the mothers legs and ride on her abdomen until their first molt! 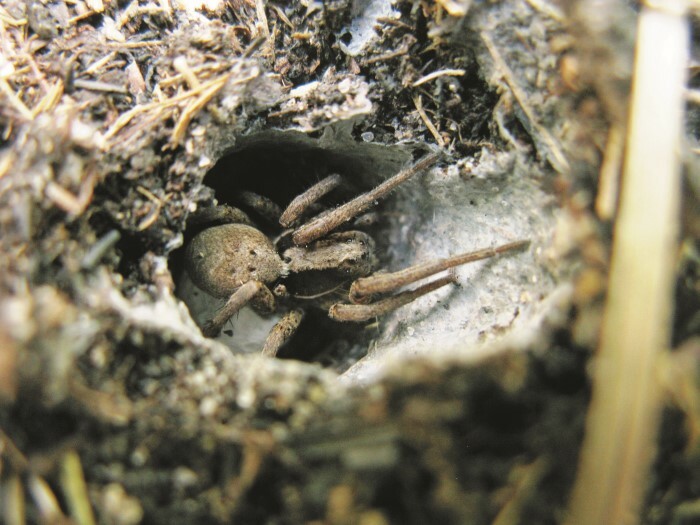 Wolf spiders feed on a vast diversity of prey. 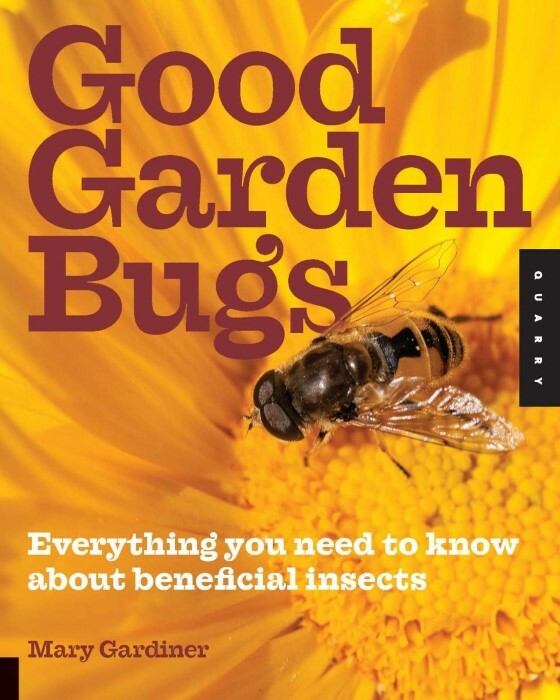 Reprinted with permission from Good Garden Bugs: Everything You Need to Know about Beneficial Insects by Mary Gardiner © 2015. Published by Quarry Books. Mary Gardiner, Associate Professor, Department of Entomology, The Ohio State University can be found on Facebook here. 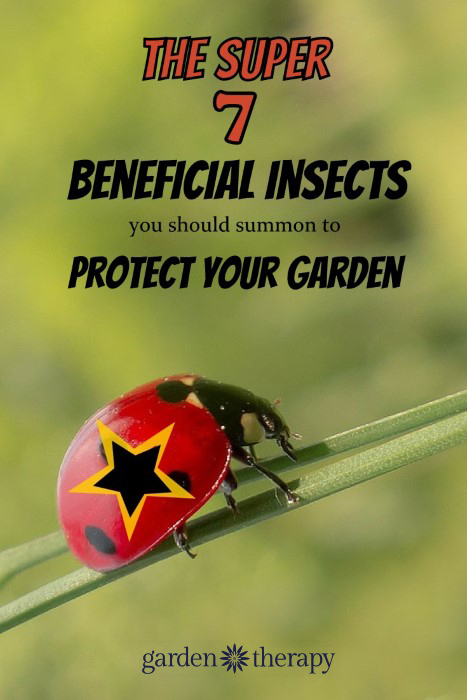 Please make sure you grab a copy of her book, Good Garden Bugs: Everything You Need to Know About Beneficial Predatory Insects, so you are empowered to invite the Super 7 and friends to your garden. It’s filled with huge, full-colour photos accompanying helpful information on identifying the insects and understanding their behavior and, well, everything else you need to know about them. if you have issues with spider mites you should introduce predatory mites to the garden. Speaking of experience. Those Green Lacewings can be a nightmare! Interesting article Stephanie, thanks! True bro. Acc to me only one or 2% insects are harmful. great read. can you also post something related to vertical farming. thanks. Interesting article Stephanie! I liked to read the article. Can you write more about Green Lacewings.